In this article, we will show you, How to write a C Program to Reverse a Number using While Loop, Functions and Recursion. This program for reverse a number in c allows the user to enter any positive integer and then, that number is assigned to variable Number. We already explained the code LOGIC in the above example. 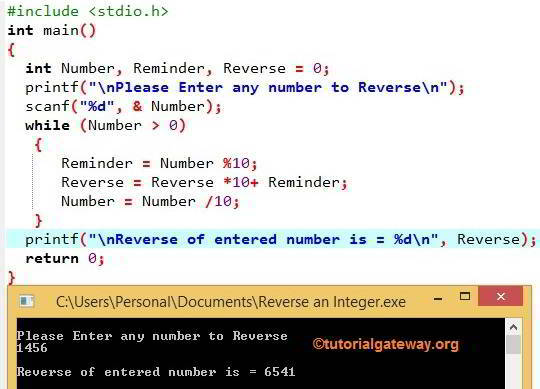 Please refer C Program to Reverse an Integer Using While Loop Analysis. The last line ends with return Reverse statement.